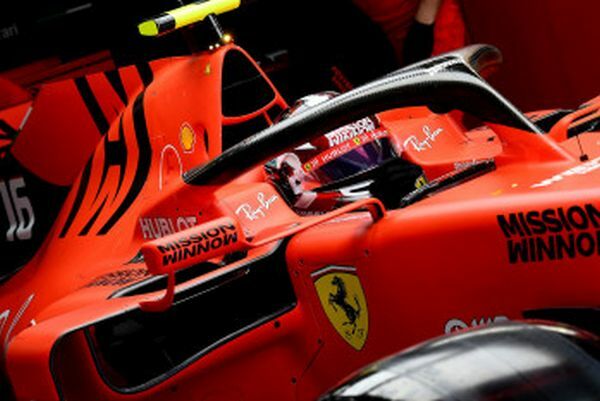 The Scuderia Ferrari Mission Winnow SF90s we’re first and third in the opening free practice session for the Chinese Grand Prix which takes place this Sunday at the Shanghai International Circuit. 19 and 21 laps. The Ferraris ran the Medium tyres while working on set-up. Sebastian Vettel did 19 laps with a best time of 1’33”911 which puts the German at the top of the time sheet. Charles Leclerc did 21 laps, with a best time of 1’34”167 ending the 90 minute session in third spot. In the second 90 minutes of free practice for the Chinese GP, Sebastian Vettel was second fastest and Charles Leclerc was seventh. Seb does 33 laps. After running just the Medium compound tyres in the morning, both drivers tried the Soft and Hard ones this afternoon, thus evaluating all possibilities. Seb did 33 laps, the best being a 1’33”357. However, Charles only managed 13, the quickest being a 1’34”158, as he had to make a precautionary stop with 30 minutes remaining, for the cooling system on his SF90 to be checked, to avoid the risk of any damage. More free practice and qualifying. The third free practice session takes place tomorrow at 11.00 local time (5.00 CET) prior to qualifying at 14.00 local time, (8.00 CET).